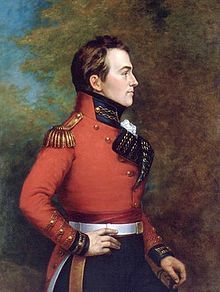 The Isaac Brock Society | Accidental Americans (And Others): Do Nothing! Accidental Americans (And Others): Do Nothing! #FATCA Americans overseas: Do NOT allow US tax pros scare u into entering US tax system. Many have no business entering! Dear Members: I just had a lengthy, robust call with an individual who spent 25 years in upper management with the Department of Treasury IRS Criminal Investigation. He confirmed what I thought about the IRS. There is more bark than bite. He stated that there are many, many Americans overseas ho have no business in entering the US tax system and that Accidental Americans UNDER NO CIRCUMSTANCES should enter the US tax system. He confirmed that there are MANY US tax pros who prey on Americans overseas and Accidental Americans through fear and falsehoods. (e.g. you will get arrested, etc.). Any US tax professional who pushes and scaremongers these individuals to comply are not professionals and should not be used! He confirmed that the IRS is NOT going to go after you in your country of residence (most especially if you are a citizen of that country) and the IRS is NOT going to arrest you at the US border. The IRS does not have the resources to do this plus they go after those who have committed a crime not the average American overseas. He stated that Americans overseas need to not succumb to the fear. Excellent conversation and I am glad my views have been validated. This reflects what I have long believed. Unfortunately, there is still the nightmare of FATCA to deal with. In some countries, anyone born in the US cannot even get bank accounts. We are treated as criminals just for banking where we live. I asked Keith how his contact explains and justifies this. At the time I wrote that question, I had just read in the law, or the summary of it, that it provided for the allowance of one way travel back to the US. In the article I recently posted, the State Dept. has the discretion to allow one way travel back to the US on the passport, which is scary. However, last week I looked into Bobby Fischer’s situation and there are differences. While Japan would detain me for however long they saw fit, eventually I would be deported to the US. He fought the deportation order. I doubt that I would be able to. So it seems that if one’s passport is revoked, they would be deported back to the US. As far as the law being the law is concerned, we do not have the option to follow it or not. We must follow unless the Gov. says otherwise, but it is not our choice. The Gov. does have the choice to obey or disobey and to compel us to obey or disobey the law. In short, the “rule of law” does not exist in the US. Yet we must follow the law until the Gov. compels us to do otherwise, penalized for failing to follow the law and penalized for following the laws it wants to disobey. Yes, after the Japanese government decides you’ve spent enough time in a Japanese jail first. Even when we DO obey, we can get in trouble, just like I did, though my trouble has not involved jailing or deportation. Also, courts being independent of government, we must follow the law until a court says otherwise, and then even when we DO obey the court we can get in trouble, etc. … Though that’s not unique to the US either. Two Japanese courts issued contradictory orders to the Japanese government, so not only was there a rare case where a plaintiff won a ruling against the government, there was the unbelievably rare coincidence of two such rulings, and they contradicted each other, so no matter which ruling the government obeyed, the government would get off scot-free because it’s still the government. Oh, I know that it is not just the US, but this is part of what is meant by “American Exceptionalism”. It happens everywhere but it is not supposed to happen in the US. Belief in this myth, makes it harder to convince others of the realities we face. And yes, I also know that Japan detains children and even babies. Just last week a teenager born in Japan to a mother who is a Thai national that was living illegally in Japan was just deported. He can speak Thai but not read nor write it. Not commenting on the correctedness of the decision, just that unlike the US, Japan treats being in the country illegally as a very severe crime deserving sever punishment. If I were deported, I doubt very much that I would even be allowed to born a flight that stopped a Narita even if my destination was, say Korea, not to mention ever get to come back home IF I won against the IRS in court. Oh, and I do take your point that being forced by the USG to ignore the law in the US may not prevent one from being pinished for violating the very law one is forced to disobey. My point is that we have no options and are yet penalized but the State does whatever it wants and is never penalized. Damned scary. I’m an American who moved to Germany when I was a kid and have a dual citizenship. Up until 2014 I was a university student and had practically no income. I started working in a hospital in 2015 filed and paid taxes in Germany in 2015 and 2016 for the first time. I have no connection to the IRS so far. I earned a gross amount of 61,000 Euros in 2016, I expect to earn a bit more in the years to come — maybe I will make more than 100$ in 3 or 4 years. I have no kids, I’m single, I’m paying off stundent loans and have no other source of income other than the hospiital job — my question is: should I just file the FEIE through the Streamline, become compliant and get this over with? Or wait this out? Ther’s is one more thing: the bank I’ve had the last few years doesn’t know I’m American .. I think. — But — and I’m kind of embaressed to admit this — in light of the recent bitcoin craze I decided I wanted to have some fun and buy some bitcoin (or like a tenth of one), so… I went head and opened up an online German bank account — all online — thats make it easier for u to safely buy some bitcoin — at the time, I was pretty sure I wanted to become compliant — so I honestly checked the box “American” and also “steuerpflichtig in den USA” , which means: have to pay taxes in the US. Okay, so fast-forward a week, bitcoin is still rising in price — but now I’ve looked into this whole US TAX thing and I kind of wished I hadnt been so honest with this online bank — are they going to tip me off to the IRS? Should I just quickly just close the thing again? Just comply, file and stop worrying? I know youv’e probably heard this all before but would appreciate any advice! Thanks!!! On the basic compliance question, you’ll get the same answer from me here as you did over on Expat Forum. Except for the Bitcoin issue. You’ve now outed yourself to a bank, which was not the best thing to do. I would maybe try to close that as quickly and quietly as possible. If you want to play with Bitcoin again, open another account with a different bank but keep quiet about US citizenship. With the bank account you just opened, if you haven’t built up much of a gain or a balance there’s a chance your details won’t be reported to the US after it closes. And if they are, it’s also possible the IRS will never do anything about it. But yeah, opening that account as a US citizen wasn’t a super smart move I’m afraid. Jerry. So many options! Do you wish to keep your US citizenship.? If yes, I would just start filing US taxes going forward. You may have to get a social security no. which is a whole other story. If the answer is no, 3 more choices. 1). Do nothing. You are not in the IRS system. 2). Spend $2350 to renounce but don’t file any taxes. You are not required to be tax compliant in order to renounce. You would be a ‘covered expatriate’ but this may not matter to you one whit. 3). Renounce and and file 5 years of taxes. Note you are supposed to assert that you have been compliant for 5 years. It’s quite possible that for some of those years you had no obligation to file because you didn’t earn enough. This info should get you started. Good luck. As already mentioned, the biggest question for Jerry Rice is whether he wants to keep US citizenship. If he doesn’t, he’s lucky. He can afford the renunciation fee (outrageous as it is) and he has pretty simple US returns to file for the past 3 years or so. He doesn’t have to become a covered expatriate. He can even keep his Bitcoin account and send his CLN to the bank, unless the bank closes his account before that. If he wants to keep his US citizenship, he has to decide whether to take a small risk (close his Bitcoin account, open a new account somewhere else and pretend not to have a US connection, don’t file, and stay under the radar) or whether to take a big risk (file honestly). If he decides to live dangerously and file US returns, it looks like his past 3 years of returns will be pretty simple, but things will get bad later. That’s pretty much the advice he got previously on another forum. The only new wrinkle being the potential self-outing with the Bitcoin account, which isn’t good but probably fairly minor in the grand scheme of things. Burning a US flag gives comfort to Iranians, North Koreans, Russians (but be careful because Russians are friends of the US president), etc. But there have been doubts whether that’s really enough for relinquishment of US citizenship. Let’s try another way. Therefore whoever assists or engages in rebellion or insurrection against the citizenship-based form-filing law (even when no tax is owing) of the United States, or gives aid or comfort thereto, thereby commits rebellion or insurrection. Therefore a person who, voluntarily and with the intention of relinquishing United States nationality, commits any act violating or consipring to violate 18 USC section 2383, succeeds in losing that nationality. The grammar is unclear about whether this kind of action requires conviction by a court martial or by a court of competent jurisdiction. Maybe the Federal Court of Canada (a court of competent jurisdiction) can rule that anyone who donates money to ADCS is giving aid or comfort to people who rebel against the citizenship-based form-filing law of the United States.